Work in Progress » Flore. Insomnia + knitting == more progress on Flore! Third segment (out of five, including the ‘cap and stem’) complete. I had to change dragons because Toothless was getting lost in the hat. 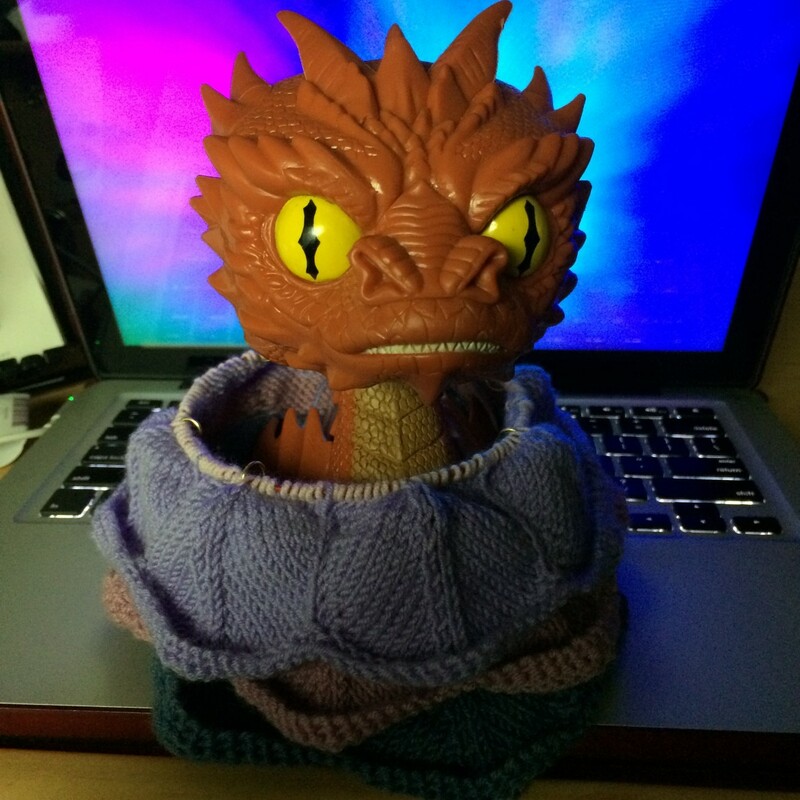 That, and Smaug was getting chilly.